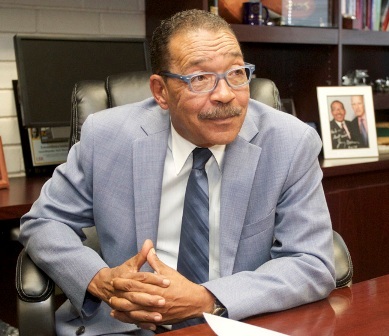 Los Angeles City Council President Herb Wesson announced Monday in a fundraising e-blast that he is looking to become the next 2nd District Los Angeles County Supervisor in 2020. Wesson is looking to replace departing Supervisor Mark Ridley-Thomas, who faces term limits in two years. The announcement included the launch of a campaign website and a 2020 Twitter page. In an exclusive interview with the Sentinel, Wesson and his campaign consultant John Shallman spoke about his desire to be the next Supervisor of Los Angeles. “I have an incurable desire to serve, said Wesson” “It's my passion. This campaign is not about me, it's about we, it's about us. And I am proud of my record fighting for social justice, investing in education and economic opportunity for our community. I am looking forward to meeting residents, listening to their concerns and working together to improve the quality of life for all of our families." Wesson is not the only one considering a run for the Ridley-Thomas seat. Former City Councilwoman Jan Perry, and California State Senator Holly Mitchell are also said to be contenders for the seat.